Our director previously wrote a letter to News Corp CEO Rupert Murdoch asking him to clarify his position on the Australian NBN. Sadly, these letters received no response. 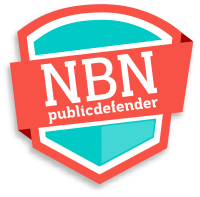 We have also published other posts sharing our view of News Corp’s influence on the NBN. Click ‘more’ to read the transcript and our comments. Earlier today, NBN Co appointed one of the most senior executives of media organisation News Corp Australia to be its new chief financial officer. Stephen Rue will commence work from the 1st of July. 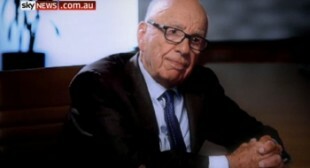 Rupert Murdoch & News Corp have often been accused of having influenced the Liberal Government’s decision to scrap the previous Fibre-to-the-Premises NBN design and replace it with an inferior design based on acquiring and reusing old copper phone lines owned by Telstra, as well as the existing Hybrid Fibre-Coaxial networks owned by Telstra and Optus. News Corp and Telstra are joint owners of Foxtel, which uses the Telstra HFC network to provide Cable TV to Australian subscribers who live in cabled areas. Last Wednesday 9th April, Malcolm Turnbull, Communications Minister and Liberal Member for the Federal seat of Wentworth, ordered NBN Co to cease their deployment of a National Broadband Network based primarily on a Fibre-to-the-Premises architecture and instead switch to their preferred “Optimised Multi-technology Mix” architecture. Under this plan, only a minority of premises will be connected by Fibre and the rest of the country will have to use existing copper telephone cable infrastructure, HFC Pay TV networks, 4G cellular networks and satellite internet depending on what is available at a customer’s location. Along with the vast majority of the Australian IT industry, we consider Malcolm Turnbull’s 44.1 Billion dollar plan to be highly wasteful, inferior and woefully inadequate to meet Australia’s current and future needs. We see this decision not being made as the result of an objective assessment performed by qualified telecommunications experts, but rather to spite the previous ALP government who launched the NBN. That is, rejecting policies simply because they came from their opposition. The Liberal party may have had valid grounds to change the management of NBN Co and its tender processes, but certainly not the technology choices. When Australian PM Tony Abbott was recently interviewed by the Washington Post and asked about the NBN, he called the former Labor Government’s plan to extend fibre optic cable to every household “wacko”. My name is Vladimir Lasky. I am a resident of Wentworth – Communication Minister Malcolm Turnbull’s seat. I am a Computer Systems Engineer by profession and run RemoteLaboratory.com – an IT business that develops technology to allow University students and researchers to conduct science and engineering experiments by remote control over the Internet – a key application enabled by the NBN. I and others in my field consider the deployment of a Fibre-to-the-Premises NBN to be the most universally beneficial infrastructure project in Australia’s history – a key requirement to enable the growth of Australia’s Information economy, education and R&D. Recently, you gave an interview to the Washington Post where you were quoted as saying that the idea of extending fibre to every home was “wacko”. With all due respect Mr Abbot, you are mistaken in your belief. I may have agreed that Labor’s management of the NBN was wacko, but not the goal itself of nationwide Fibre-to-the-Premises which is very sensible. It is easy to confuse the cost of construction with the cost of ownership. You surely are a long-term thinker and it is the latter that matters most. Yes, Fibre-to-the-Node might be slightly cheaper and definitely faster to build than than Fibre-to-the-Home, but the maintenance costs for the old copper and nodes will be absolutely horrendous, making it the far more expensive solution long-term. The narrow-gauge copper wire that we use for our telephones was specified only for voice communication with 1920’s technology. It was never specified for carrying high frequency signals required for high speed broadband. Furthermore, it has been in the ground for many decades and has decayed. Many people complain of unreliable, poor performing Internet due to the copper being corroded or water entering the ducts whenever it rains. Furthermore, it will be almost impossible to increase the speed of Fibre-to-the-Node connections, except by building more nodes closer to each client. 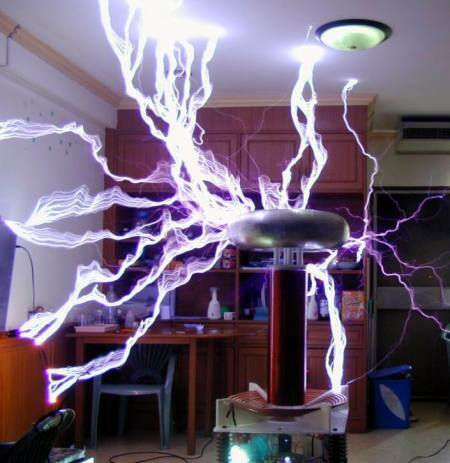 This would cost a fortune, use lots of electricity and create a maintenance nightmare. Having fibre all the way avoids these problems. The Wise builder builds Fibre-to-the-Home – the resilient optical fibre is like the rock which will remain strong and reliable during the rain and floods and handle all the weight placed on placed on it. The Foolish builder builds Fibre-to-the-Node – the mixture of optical fibre and old copper is like the weak sand foundation which gets easily eroded by the rain and floods, and everything that rests on it falls over. Please let Malcolm Turnbull be the Wise builder. Be remembered as the man who thinks of the big picture and is not just opposed to the good idea of Fibre-to-the-Premises because it came from the incompetent former Labor government who were not able to execute it. Be remembered as the man who adopted the good idea and made it actually happen. Back in September 2013, our Director of R&D Vladimir Lasky wrote to his local Member of Parliament, Malcolm Turnbull, who had just been appointed Communications Minister following the Australian Federal Election. This is Vlad, Wentworth resident and former member of Vaucluse Young Liberals. First of all, congratulations on your successful re-election to Wentworth! I am also a Computer Systems Engineer and run RemoteLaboratory.com – a tech business which develops technology to allow University students and researchers to conduct science and engineering experiments by remote control over the Internet – a key application enabled by the National Broadband Network. I and other people in the industry maintain that Fibre-to-the-Premises is the only suitable design for the NBN that is both economically viable and provides sufficient capabilities. 1. Telstra, being the owner of the old copper cable, and a public company that must maximise the interests of its shareholders, will demand as much money as it can get from the government to purchase their old copper cable. They hold the cards and will price it as high as they can to provide the minimum discount that will still make it look more affordable to the government than FTTP. 2. In many places, the copper cable has been in the ground for many decades. The weather-proofing has gone and the copper has started to corrode. Today, people often report that their ADSL Internet slows down or drops out whenever it rains. A lot of money will need to be spent to repair the old copper cable. 3. As you know, the cables are unshielded, so there is a lot of cross-talk – part of your signal is picked up by your neighbours’ cables and you will pick up theirs. As more people get connected, your line will get noisier and your speed will be lowered. Vectoring will help reduce cross-talk, but it is complex and has its own constraints. 4. Our copper cable that we have in the ground was never intended for transmitting data – only baseband voice signals. The conductors have a small diameter so the high frequency signals used to transmit data drop off in strength very rapidly – smaller that what has been used in the UK and Germany, which you have cited as examples of successful FTTN. This means that in order to get speeds anywhere near what is being promised, many nodes will have to be installed within a few hundred metres of every connected office or home. These nodes are large, expensive, consume electricity and will require ongoing maintenance. I consider you to be a financially astute person, and the Liberal Party capable of seeing the big picture by considering ongoing and opportunity costs, and not simply basing things on short-term cash-flow concerns. There is no purpose in needlessly wasting Australian taxpayers’ money to prolong the life of a run-down, obsolete network and fill Telstra’s coffers, when our country has the means to do it properly. It would eventually have to be replaced with FTTP anyway and it would be even harder to find the money then. We can get it right the first time. RemoteLaboratory.com strongly supports the deployment of a Fibre-to-the-Premises National Broadband Network in Australia – a prerequisite to enable the growth of Australia’s Information economy, education and R&D capabilities. In the Australian media, there have been frequent suggestions that Rupert Murdoch and News Corporation have been unfairly influencing the Government’s policy on the National Broadband Network to suit their commercial interests. My name is Vladimir Lasky. I am a Computer Systems Engineer by profession and run RemoteLaboratory.com – a Sydney-based IT business that develops technology to allow University students and researchers to conduct science and engineering experiments by remote control over the Internet – a key application enabled by the Australian National Broadband Network (NBN). It is has been widely suggested in the Australian media and blogosphere that you and/or News Corporation have been lobbying our government to prevent the deployment of a Fibre-to-the-Premises NBN, where optical fibres are extended all the way to each user’s home or business. The reason put forward is that the higher bandwidth offered by a Fibre-to-the-Premises architecture, compared with the alternative Fibre-to-the-Node architecture, poses a threat to your and/or News Corporation’s Australian commercial interests by making it easier for Australian customers to obtain content such as TV shows and movies at a lower cost compared to if they had to pay for content through local providers that you and/or News Corporation have a financial interest in. This suggestion causes many of us here very deep concern as it makes us believe that our future as a country is being compromised for the sake of selfish commercial interests. 1. Given that the Australian NBN is planned to be built using either a Fibre-to-the-Node or a Fibre-to-the-Premises architecture, do you and/or News Corporation have a preference for either of these architectures and if so, which is it? 2. If you or News Corporation have a preference, has this been communicated to any members of the current government by you or any representatives of News Corporation? If so, what are the names of the News Corporation representatives and which members of the government did they communicate their preference to? 3. If the Australian government deploys the NBN using a Fibre-to-the-Premises architecture, will any politicians, or the government as a whole, have any reason to fear that this will result in less favourable media coverage from News Corporation-owned publications compared to if the government deploys the NBN using a Fibre-to-the-Node architecture? 4. If the Australian government deploys the NBN using a Fibre-to-the-Premises architecture, will News Corporation act to reduce or restrict the availability of American content to Australian customers, e.g. by refusing to allow distribution within Australia or by raising prices to Australian customers, compared to if the government deploys the NBN using a Fibre-to-the-Node architecture? I really appreciate you taking the time to read and respond to my letter.